Birds and wildlife fascinate me. I enjoy observing them and photographing them wherever I go. I share what I learn here. 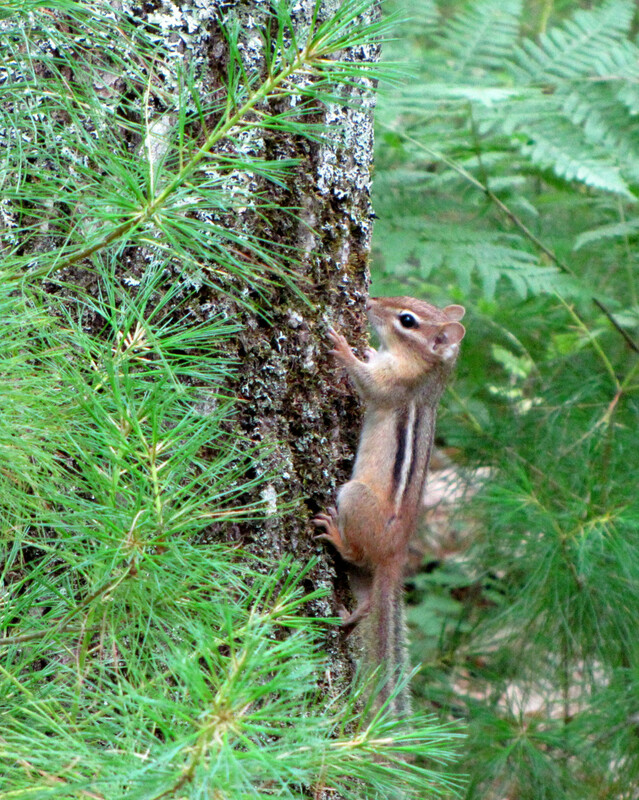 Chipmunks are cute, energetic members of the rodent family. It's fun to watch them race across the yard or stuff their cheeks with peanuts. 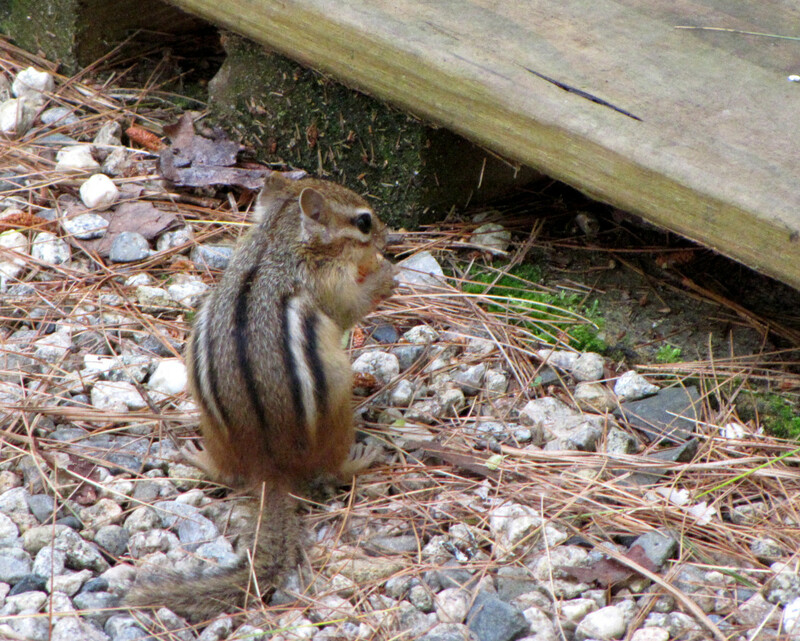 In the springtime, chipmunks emerge from hibernation and become active. Sometimes they emerge during the winter months as well, then return to hibernation. 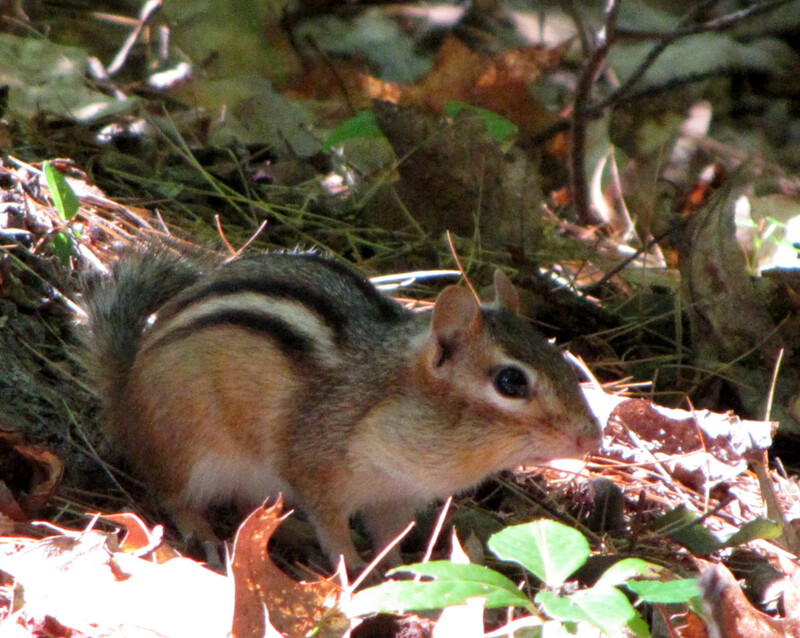 We have plenty of chipmunks living around us, so I'll share my observations with you here. I've also collected great facts about their lives, what they eat and what their homes are like. 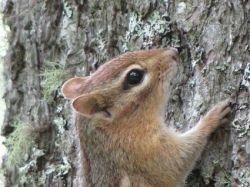 These fun facts about chipmunks give you the background information needed for really appreciating these cute critters. I've seen chipmunks stuffing even green strawberries into their cheeks. They run out of my strawberry patch with their cheeks full and leave none for me. Even when I stamp my feet and wave my arms at them, they won't run off until they have a strawberry. Sometimes they just take a single bite out of the strawberry. I wish they wouldn't do that. They eat wild berries. 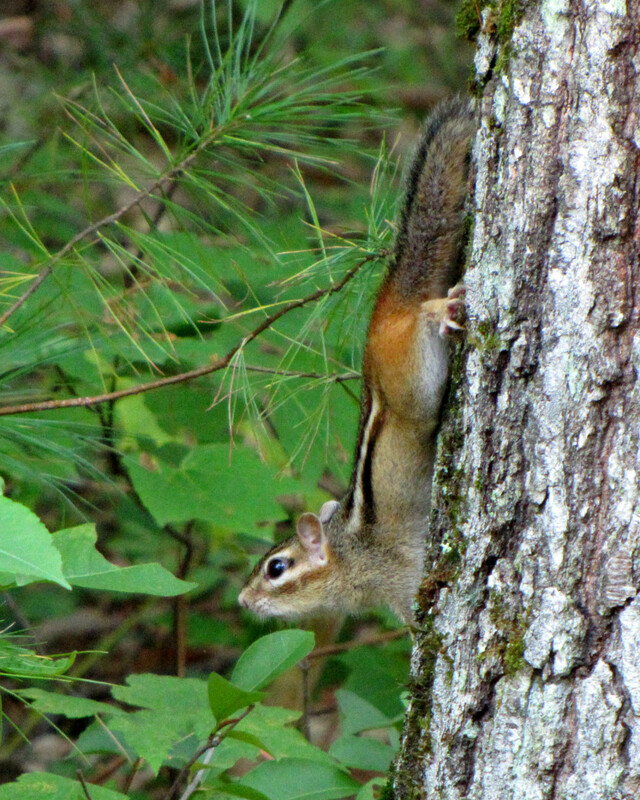 Chipmunks can easily climb trees and into berry bushes. Make a guess before you start the video. Is it 1, 2, 3, 4, 5, or 6 nuts? See if you guessed right. Learn more about chipmunks with these informative books. You can look for these at your public library. 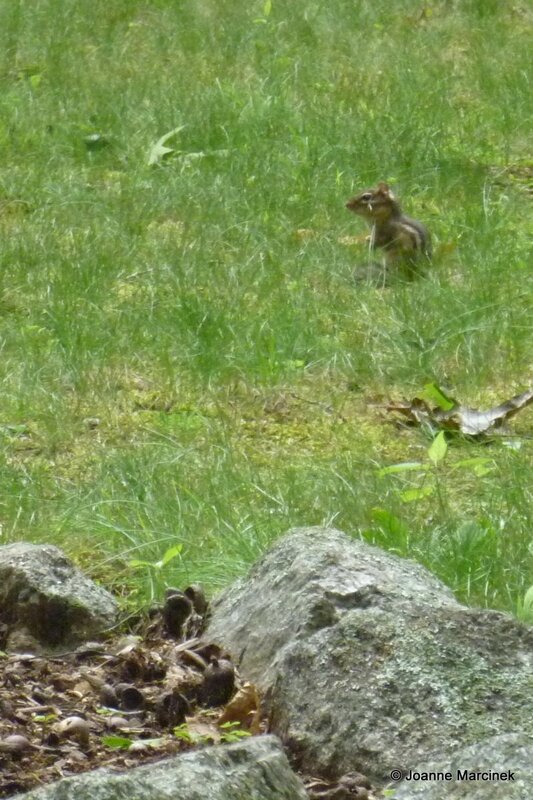 Eastern Chipmunk & Western Chipmunk. The ground squirrel is often confused with the chipmunk but is not the same. 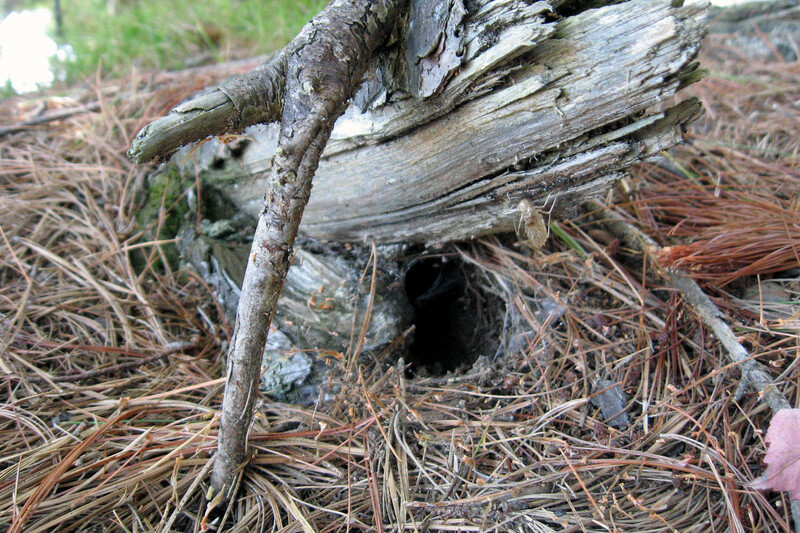 If you have an old stump nearby, look around it for small holes in the ground close to it. 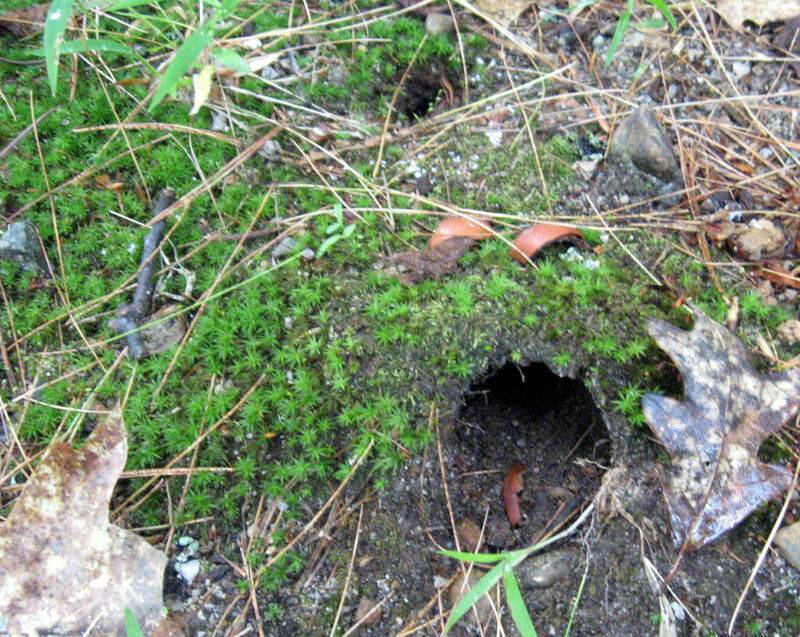 The holes may be about the size of a golf ball and that's the entrance to the chipmunk's home. 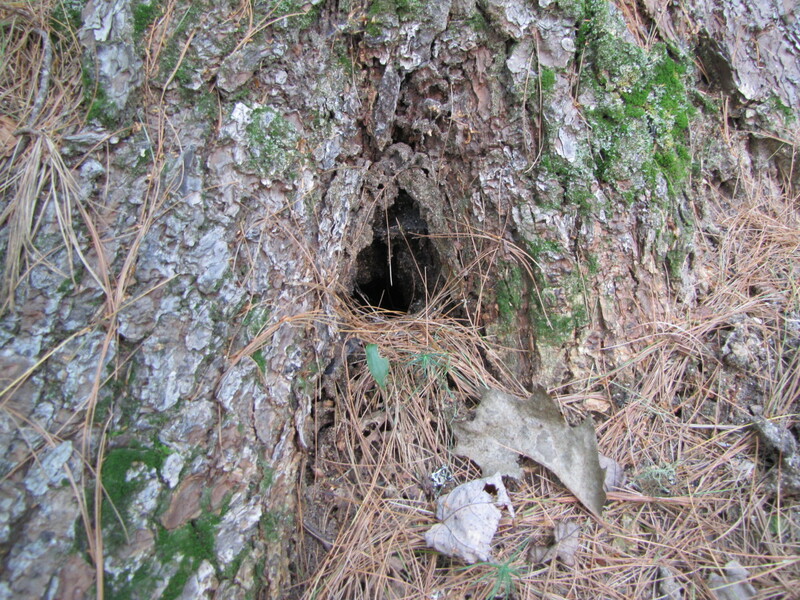 Under the stump where it's protected from rain, the chipmunk digs out a den about the size of a watermelon. 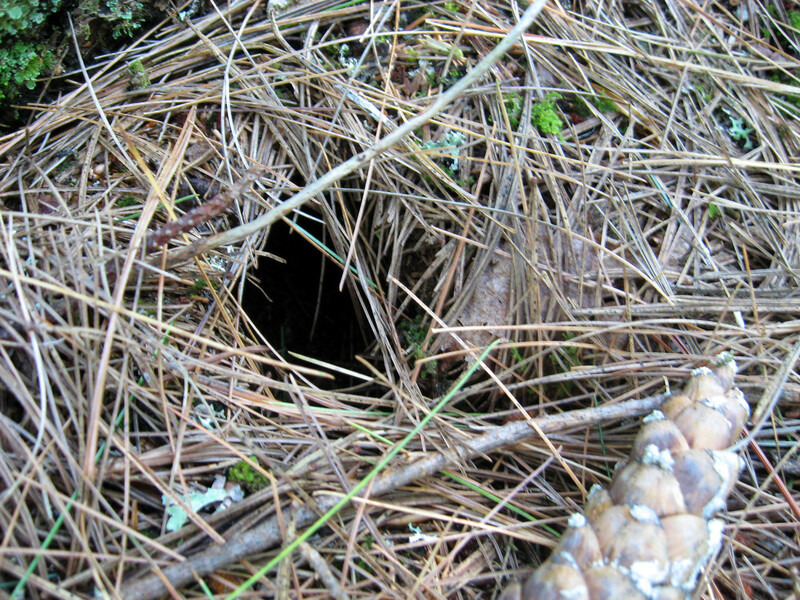 Many tunnels run in and out of this den. Look around and you will see holes in many places like under a step or a patio or deck. The chipmunk likes to have many places that it can dive for cover when there is danger. Chipmunks are super cute and it's fun to have a plush chipmunk of your own or a puppet. Who can resist cuddling this adorable plush chipmunk. Too cute! Chipmunks make several sounds. It can sound like chip-chip-chip or chuck-chuck-chuck. Move his arms around in a realistic manner. With your hand inside this puppet, you can clasp things such as pick up a nut and pretend to eat it. They got their names after a famous English furniture maker, Chippendale. 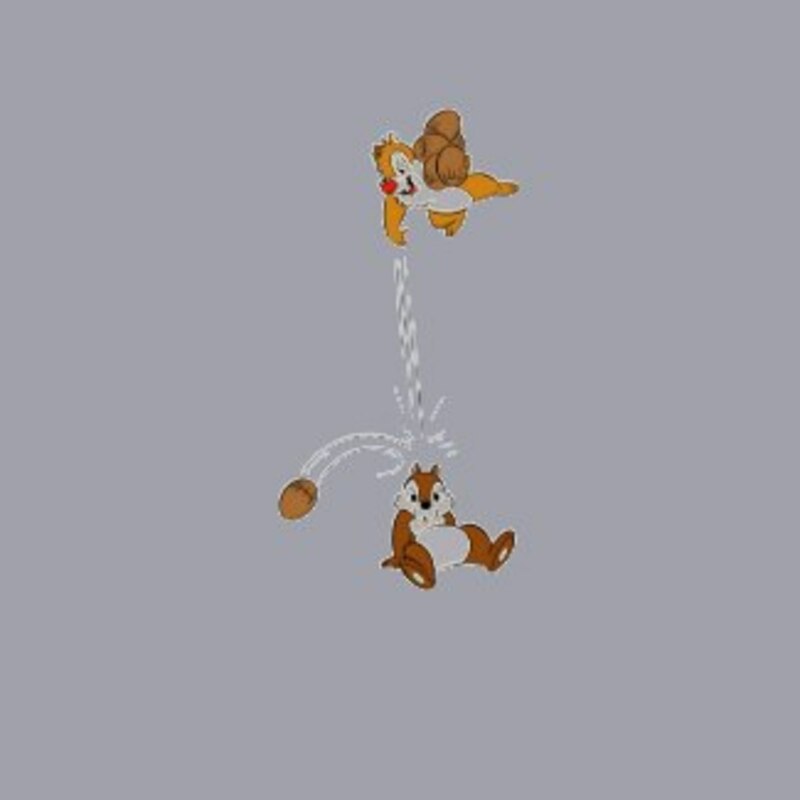 Watch all your favorite episodes of Chip 'n Dale. You can even get Chip 'n Dale as a stuffed bean-bag toy. There are plenty more episodes available on Amazon. 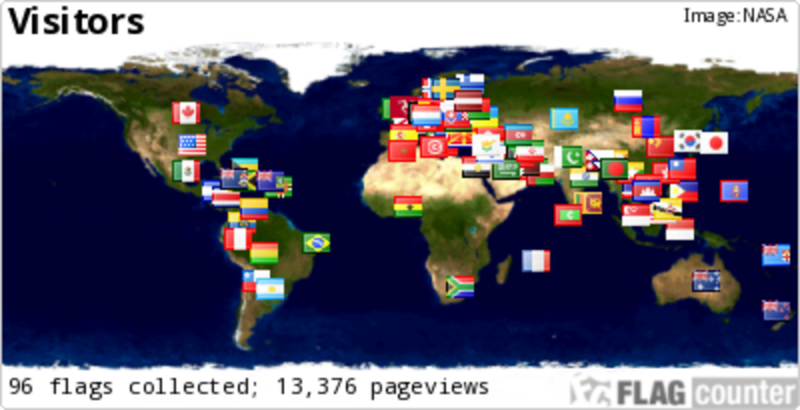 Click through to see the others. Which Do You Think This Is? Chip or Dale? 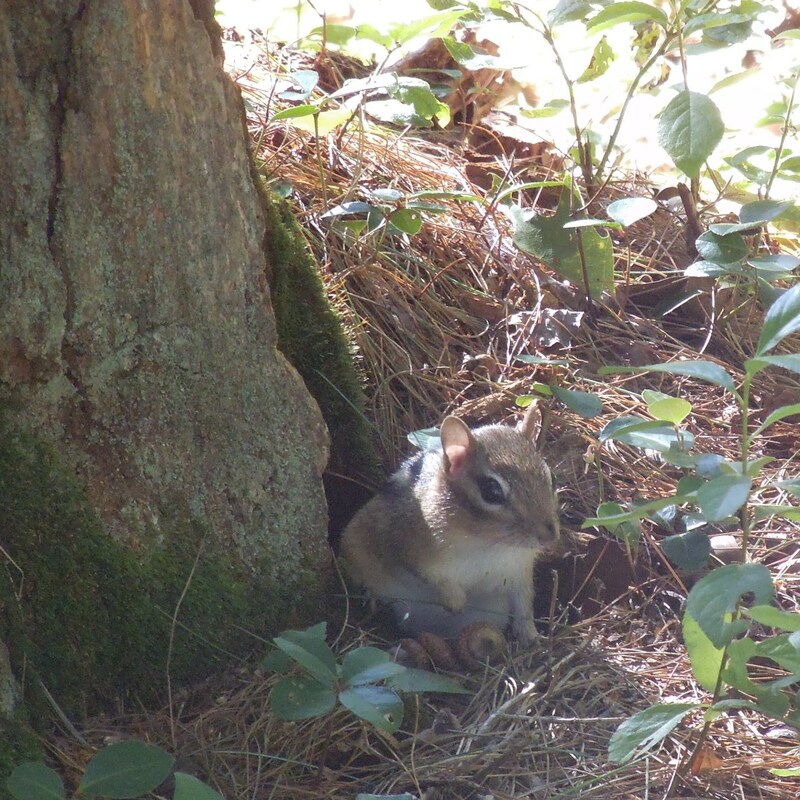 Did You Learn Anything New about Chipmunks? 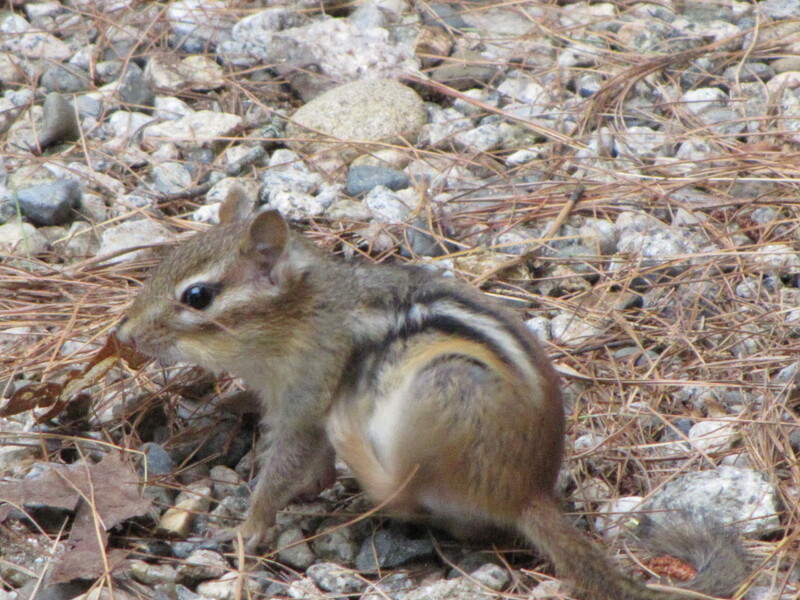 I think chipmunks are rather cute and would surely rather see them in my back yard than the moles. Would you believe, it was right before 8pm last night when I came to my back patio door and locked eyes for a pregnant pause with a raccoon who was foraging in the cat's dish. Then, he bolted for the natural area -- first time we've come eye to eye like that. @evelynsaenz1: The entry hole is barely bigger than a quarter. 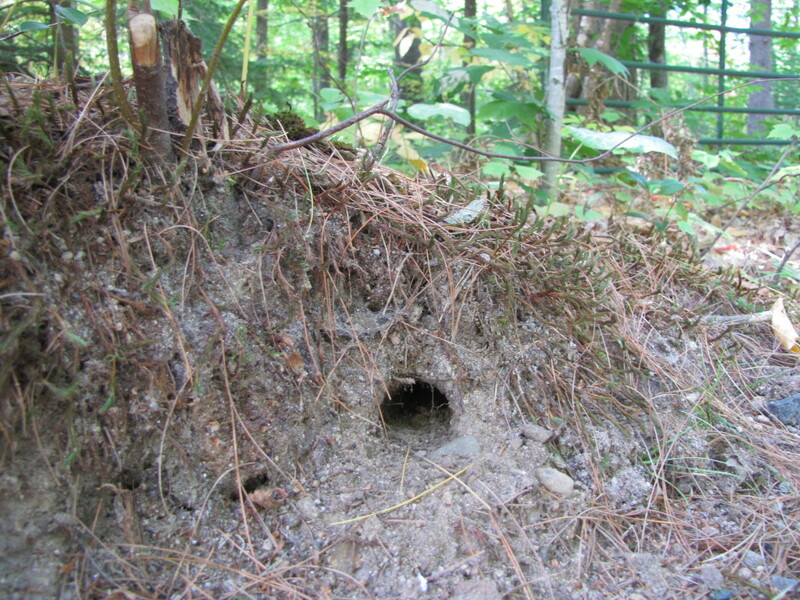 It is the underground burrow that is the size of a watermelon. I'll adjust the wording so that is more clear. I love this! Adorable and informative! I had no idea that a chipmunk hole was the size of a watermelon. I had always assumed that their holes weren't much bigger than they were. This is really great. Who doesn't love chipmunks? Awesome animals. @anonymous: Hey, watch your language! I'm an English major and after your comment, obsessively scanned the page for any typos. Didn't catch any, so not sure what annoyed you. Cute! I didn't know they ate strawberries. 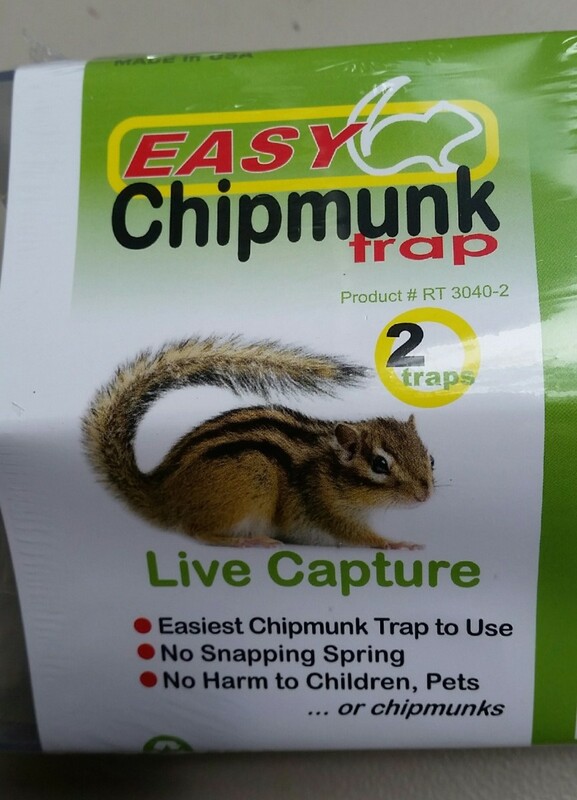 We used to have a chipmunk come around that we called Chippy. 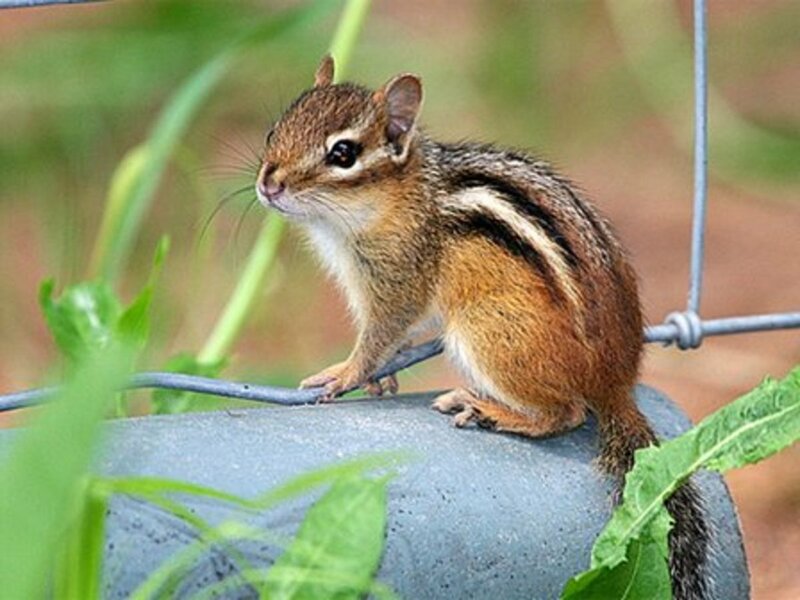 i luv chipmunks so much.......................i really luv it when they stuff there chheeks its just sooooooooooooooooo CUTE!!!!!!!!!!!!!!!!!!!!!!!!!!!! I wuvs chipmunks soooo much!!!!! They are my favorite animals!!!!! I love chipmunks. 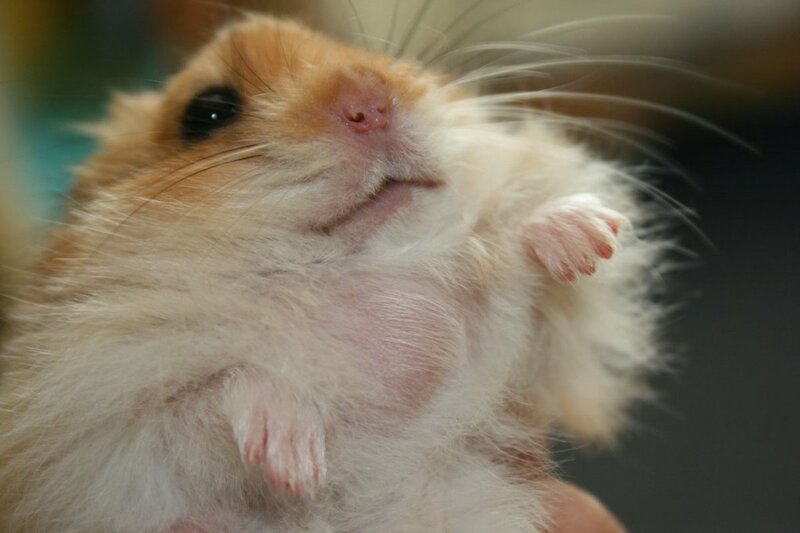 When I see one stuffing its fat little cheeks, I think it's so cute. It makes me smile and makes my day. 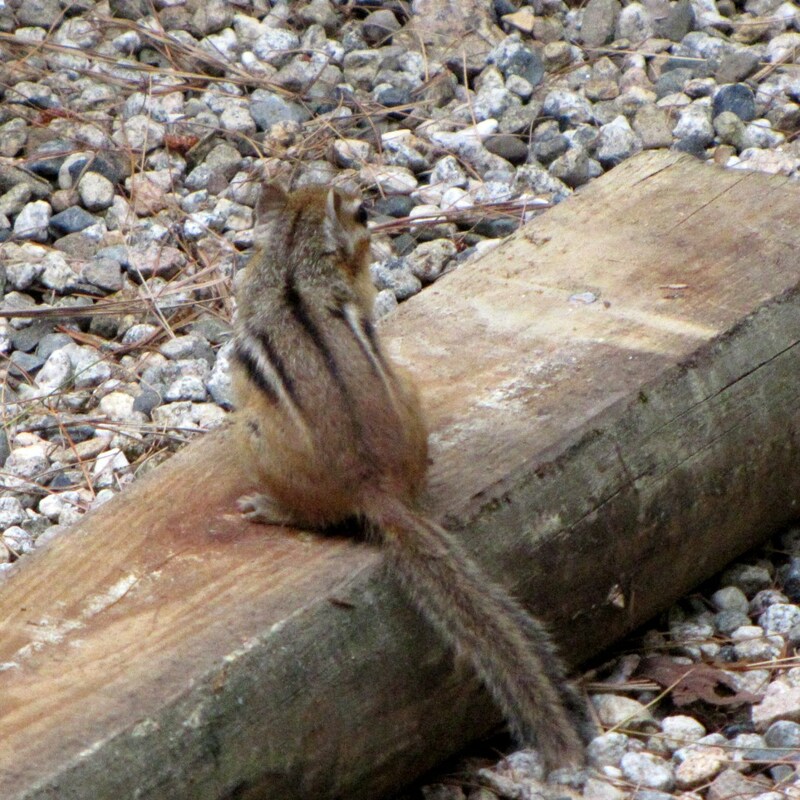 Chipmunks are so cute and they certainly adapt to being around us very easily and we find out that maybe we should not have been so welcoming when they wake us up too early with their very loud morning chipping right next to the open window! When I was a child a had a chipmunk who would eat out of my hand. I would also sit at the door with our neighbor and feed the chipmunks with him. They are so cute. I love the chipmunk in a teacup card. 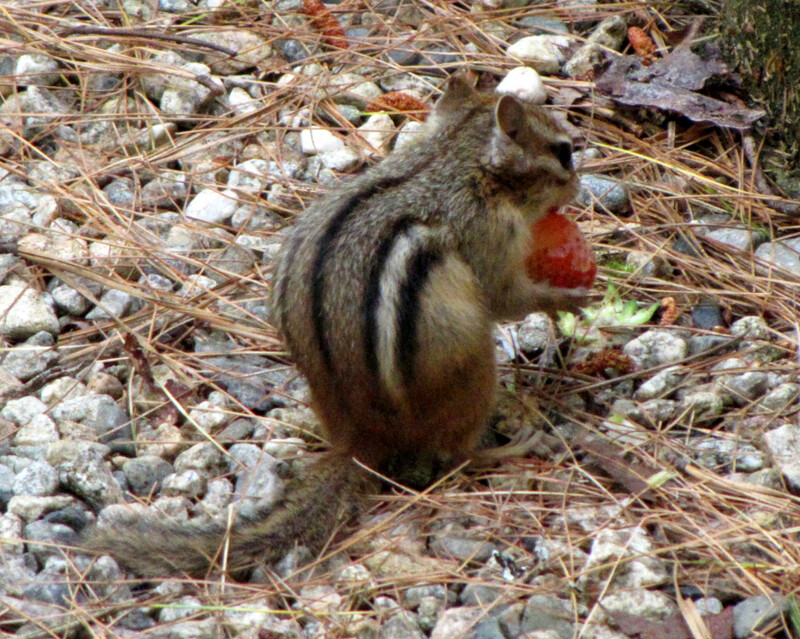 Back for another visit...my daughter's chipmunks even eat jalapeno plants, new peppers and all. 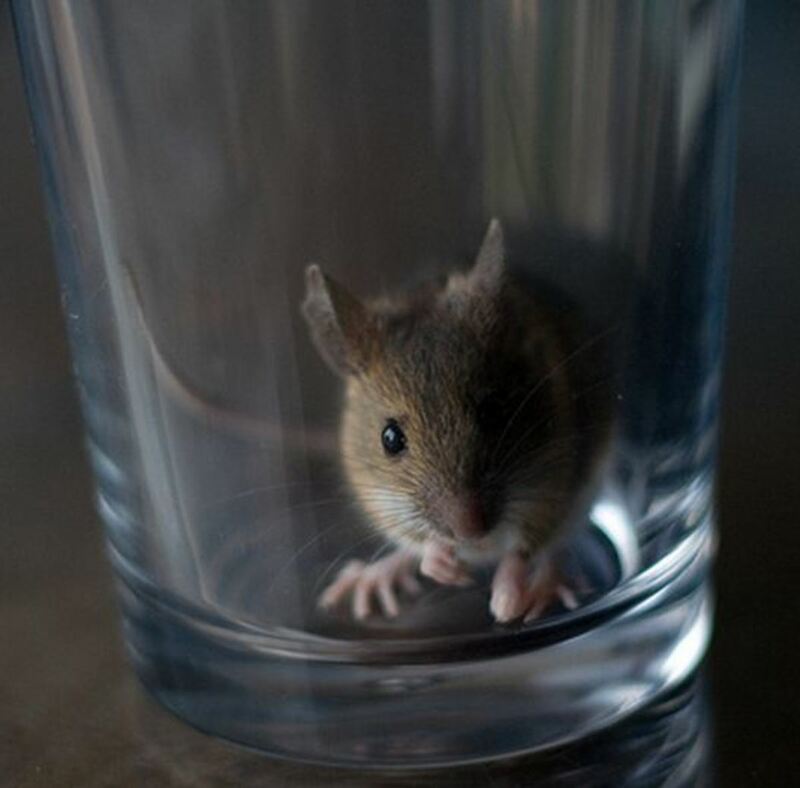 Feisty, smart little things too. As soon as she comes out of the house, long before she gets to the garden, they've stuffed their little selves and whoosh! they're gone! Oh How adorable. I love my chipmunks. We went a couple of years without any because a mama feral cat had her kittens under our deck. But I am happy to say, they have all been caught and neutered and given homes and now the chipmunks are back. yeah. blessed. They are so cute. I have one in my backyard and enjoy watching it. Aren't they sweet? I used to play with them as a kid - don't see them often any more. Very cute little fellas. I have squirrels all over my yard and enjoy watching them. So cute...what about Alvin and the Chipmunks? They are pretty well known, too...plus they sing Christmas songs! I find them so cute to watch. I just sort of like the little critters. I know they can be destructive but, with 6 dogs chasing them in the backyard, they don't have much chance to get into anything except for the birdseed and they're welcomed to that! Nice lens. I love these darn things, my daughter plants her garden for them. Goodness knows, their family doesn't get any of the veggies. But she enjoys them so much, she hasn't the heart to do away with them. Great lens, and I learned more about their burrow habits. The video with the little guy with cheeks stuffed with peanuts is so cute. Your images are so delightful that you make me long for the country again. What cute chipmunk items! Well done! Adorable! I enjoyed learning about chipmunks. We don't have any on the island. They do resemble squirrels but they are so tiny. Oh, boy! I do see their racing strips do stand out. Too cute lens! 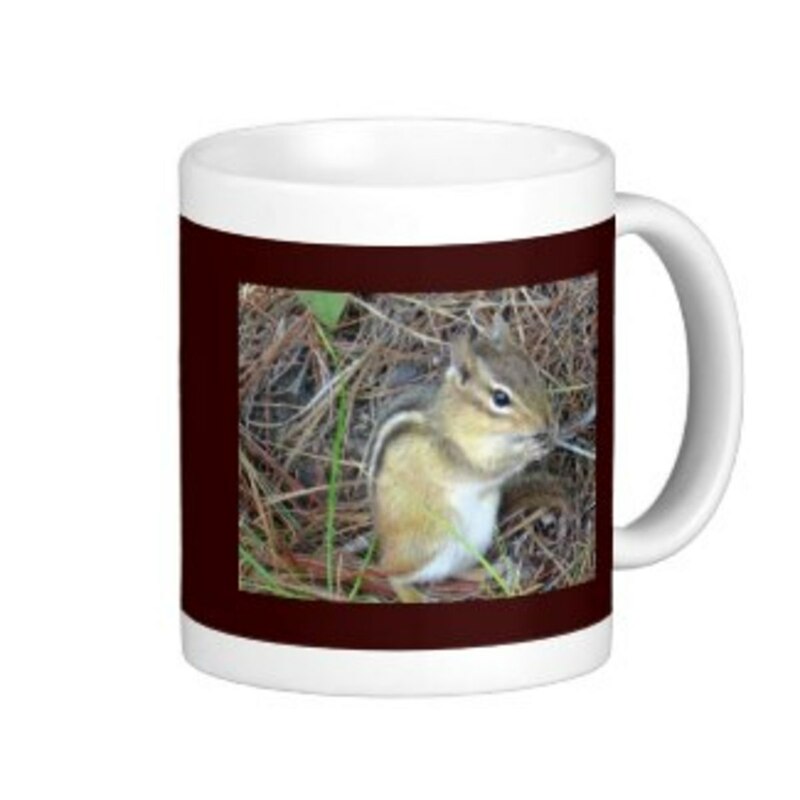 I love chipmunks- in the summer I sit outside every morning and watch their antics while I have my coffee. It's cheaper than cable! 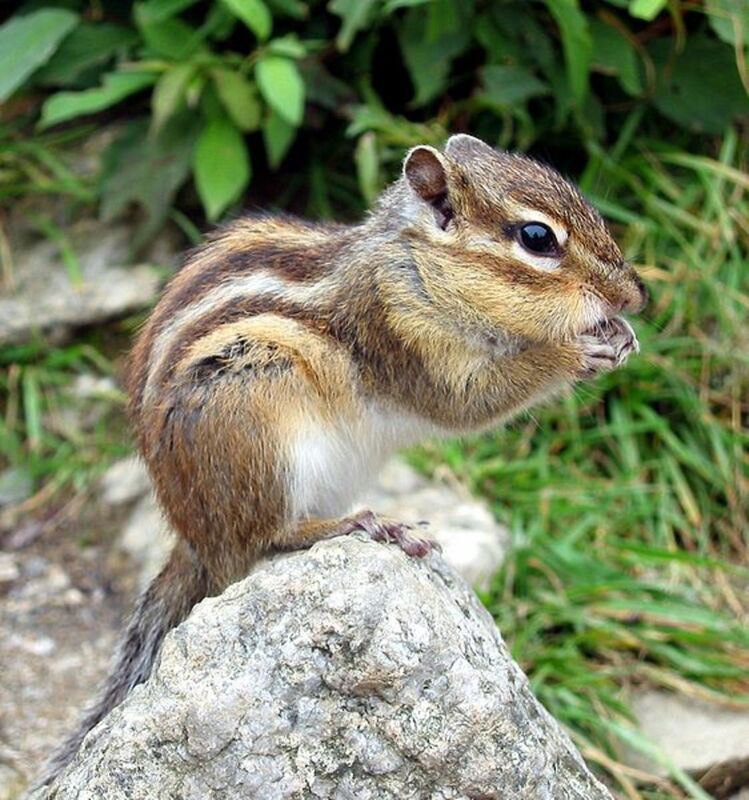 Thanks for making such a nice, informative lens about chipmunks. You've made learning about chipmunks so much fun! Nice work! Love chipmunks! We always have a bunch running around our yard and neighborhood. Unfortunately one of my cats me brought one as an "offering" the other day - my husband kindly disposed of it. Sorry chipmunk!